"... Built in 1910 with 5,685 sq.ft., 300 Cotton Hall Road is a Pre-Owned 5 bedroom 6.5 bath Single Family Detached Craftsman 1 story home for sale on a 1,010.7 Acre Residential lot in the None area in Yemassee SC, 29945. 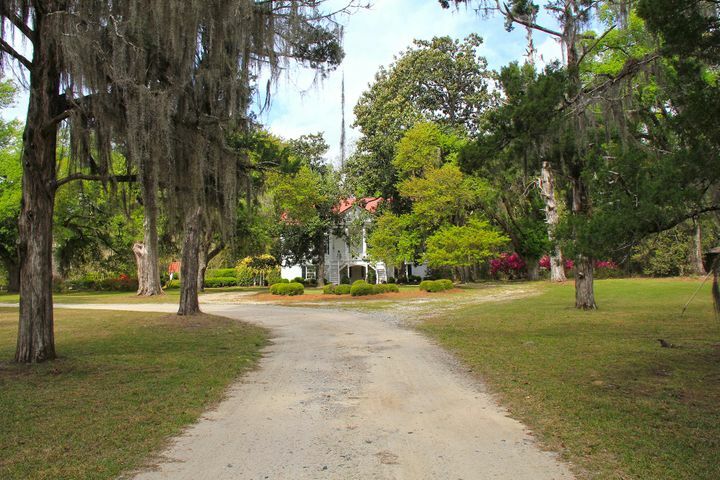 Tomotley Plantation is an iconic ACE Basin property that dates to the original Kings Grant circa 1698, when it was deeded to Landgrave Edmund Bellinger. 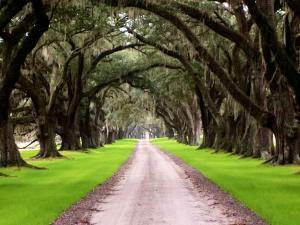 It is best known for having two of the finest examples of Oak Avenues anywhere in the south, which were planted in 1820. As you travel through the massive tunnels of twisted oaks, Spanish Moss and dappled sunlight, you come upon manicured grounds, fenced pasture and a grand, one-story home of over 5,000 square feet with Craftsman styling and a beautiful view of the 14 acre brackish fishing pond. The original home was burned by federal troops in 1865, and the current one was built in 1910. 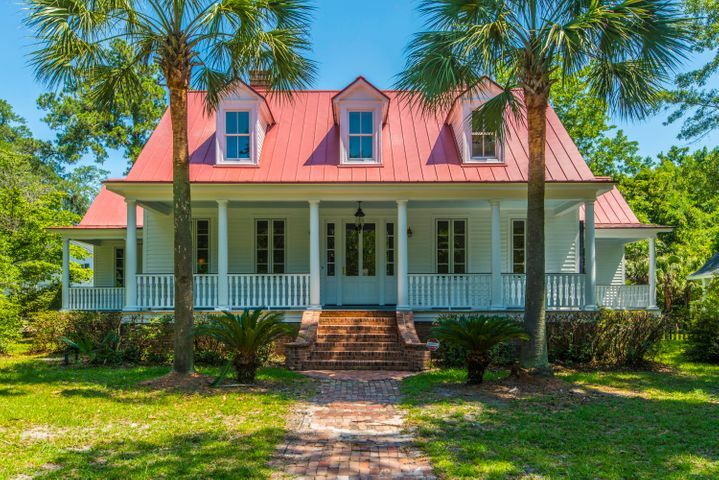 This is a landmark property, composed of 1,010 acres that provide world class hunting and fishing opportunities in the classic lowcountry setting. and roof is Metal ... Amenities include , * Parking includes 3 Car Garage and other features. ** This Yemassee home for sale offers * * . . --- Annual property tax is reported as $7,025.00 ** * Yemassee, SC MLS Number is 18027761. "... 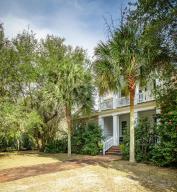 Built in 1810 with 8,235 sq.ft., 7311 Jenkins Hill Road is a Pre-Owned 5 bedroom 5 bath Single Family Detached Colonial 4 story home for sale on a 350 Acre 10+ Acres, Marshfront, Marshview, River Access, Riverfront Residential lot in the None area in Edisto Island SC, 29438. Seabrook Plantation is located on Steamboat Creek, a branch of the North Edisto River, just south of Charleston, South Carolina on Edisto Island. The house was built by William Seabrook in 1810 on 350 acres with majestic views, surrounded by deep water (approximately forty feet). Kiawah and Seabrook Island are only a short boat ride away. The house is a Federal-style plantation with a grand, double staircase designed by James Hoban, the architect of the White House. The main house has five bedrooms, four full baths, and two half baths. In addition to the main house, there are two guest houses, two docks, a caretaker's house, a tea house and dock, and greenhouses. 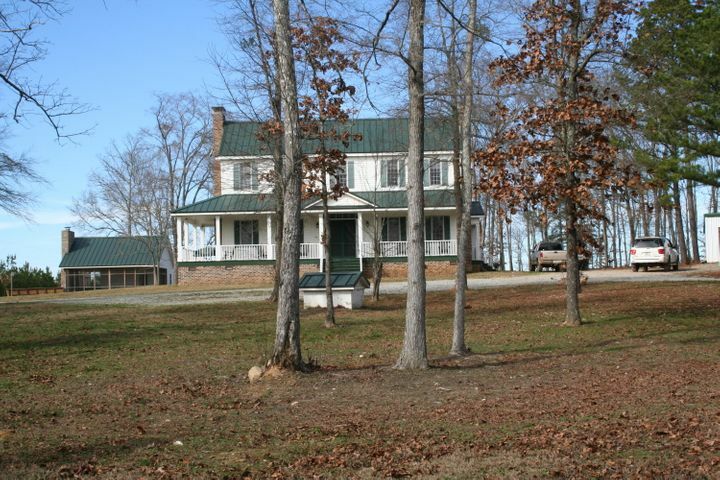 The property has been managed for hunting and recreational activities. The floors include Wood and roof is Asphalt Shingle ... Amenities include Dock - Existing, Dock - Floating, Elevator Shaft, Fence - Partial, fireplace: Gas Logs * and other features. Flood Insurance ** This Edisto Island home for sale offers Ceilings - 9'+, Elevator * air conditioning Central, Window Unit * equipment and appliances - Dishwasher, Dryer, Gas - Range, Refrigerator, Security System, Washer. Rooms include Eat-In-Kitchen, Family, Formal Living, Laundry, Separate Dining, Utility. Master bedroom features Ceiling Fan, Upstairs --- Annual property tax is reported as $358.57 ** Neighborhood amenities include Dock Facilities, Elevators, Extra Storage, Horses OK, Security Guard/Sys * Edisto Island, SC MLS Number is 16032031. "... 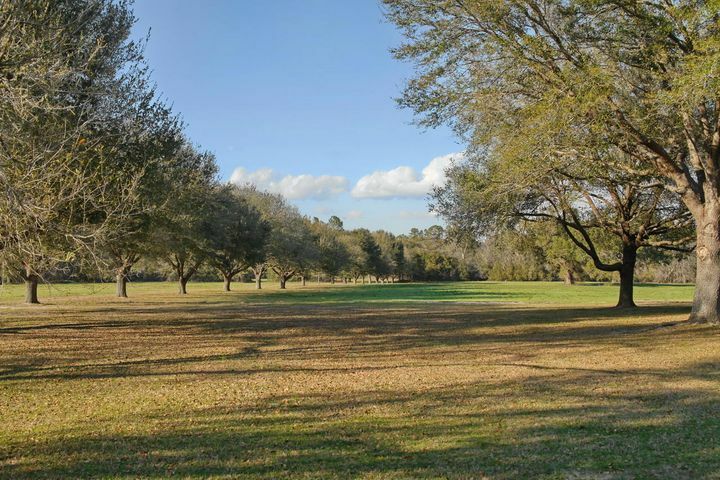 Built in 1800 with 3,002 sq.ft., 1 Holly Grove Road is a Pre-Owned 4 bedroom 3 bath Single Family Detached Horse Farm 2 story home for sale on a 585 Acre 10+ Acres, Marshfront, Marshview, Riverfront, Riverview Residential lot in the None area in Georgetown SC, 29440. 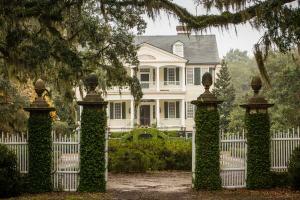 Own one of South Carolina's most historic properties, beautiful Holly Grove Plantation!! Peace & plenty for the discerning buyer searching for a historic property with both fresh & saltwater access, close enough to town & the beaches, but secluded enough to ensure complete privacy! Circa 1800 Plantation house in immaculate condition, workshop, sheds, garages,rec building, boat dock & ramp providing directaccess to the Great Pee Dee River! +/- 290 acres of cleared land & timber, plus a 295 acre Conservation Easement. All data / information important to buyer to be confirmed by buyer and/or their agent. The floors include Ceramic Tile, Wood ... Amenities include , fireplace: Family Room * and other features. ** This Georgetown home for sale offers * air conditioning Central * . . --- Lot size is 585 acres ** Neighborhood amenities include Boat Ramp, Boat Storage, Dock Facilities, Horses OK * Georgetown, SC MLS Number is 19005892. "... Built in 1800 with 2,000 sq.ft., 325 Log Creek Road is a Pre-Owned 4 bedroom 3.5 bath Single Family Detached Colonial 2 story home for sale on a 934.57 Acre 10+ Acres, Pond, Rolling, Wooded Residential lot in the None area in Edgefield SC, 29824. 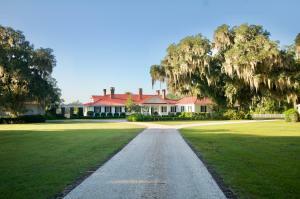 Plantation Estate of 934 acres + - with antique home completely restored! This is an opportunity of a lifetime! Beautiful rolling land of open fields and pine forests with about 50 miles of interior roads. 2 ponds. 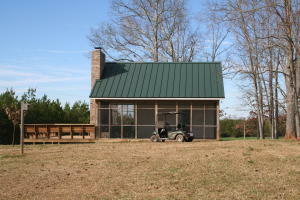 Property has been lovingly maintained and lots of attention to create a habitat for deer, turkey and dove shooting. 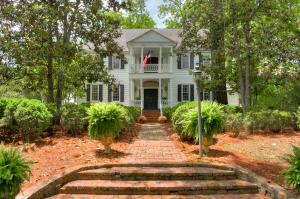 See MLS listing for Cedar Grove Plantation home which is adjacently located and could be added to this property. and roof is Asphalt Shingle ... Amenities include Porch - Front Porch, Workshop, * Parking includes Off-Street Parking and other features. ** This Edgefield home for sale offers * air conditioning Central * . Rooms include Foyer, Laundry, Study. --- ** * Edgefield, SC MLS Number is 19007199. "... 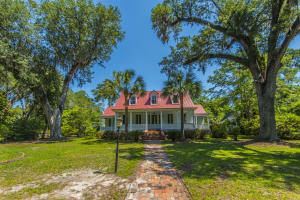 Built in 1883 with 6,032 sq.ft., 534 Central Avenue is a Pre-Owned 6 bedroom 6 bath Single Family Detached Cape Cod Traditional 2 story home for sale on a 1.7 Acre 1 - 2 Acres, Corner, High, Wooded Residential lot in the Historic District area in Summerville SC, 29483. A SIGNIFICANT PROPERTY! 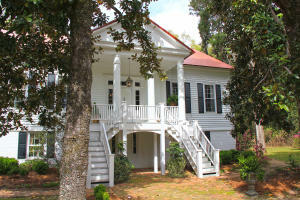 Two Houses on 1.7 Acres in Summerville's Historic District. Both Houses have been Improved to Near Perfection. The Grand House(3532 sf), Popularly known as the Henry Manigault House c. 1883, is listed in SC Historic Register for Plantation Houses. Master Suite is Downstairs, Two Large Guest Bedrooms Upstairs Each with Baths. Four Gas Logs Fireplaces. Metal Roof. Over-sized, Finished, Air Conditioned Two Car Garage. New 20 X 30 FT Entertainment Gazebo with Large Fireplace. Several Giant, Aged Oak Trees and Many Azaleas and Camellias. The Cottage(2500 SF), 3 Bedrooms, 2.5 Baths has been Re-Built to Highest Standards for Comfort and Economy. All New Kitchen and Baths. Cement Plank Exterior, Hardwood Floors First Level and Stairway. Two 15 Seer HVAC Heat Pum More... The floors include Ceramic Tile, Wall to Wall Carpet, Wood and roof is Architectural, Fiberglass Shingles, Metal ... Amenities include Fence - Wooden Enclosed, Gutters, Lawn Irrigation, Porch - Front Porch, Energy Star Central Heat/Air, Tankless Water Heater fireplace: Three + * Parking includes 4 Car Garage, Attached, Detached and other features. ** This Summerville home for sale offers Ceiling - Smooth, Ceilings - 9'+, Garden Tub/Shower, Skylight, Walk-In Closets, Window Treatments - All * air conditioning Central, Water-To-Air * equipment and appliances - Ceiling Fan, Dishwasher, Dryer Connection, Electric - Range, Garage Door Opener, Garbage Disposal, Microwave Built-In, Refrigerator, Security System, Washer Connection. 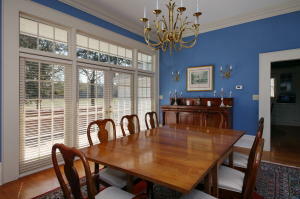 Rooms include Eat-In-Kitchen, Family, Formal Living, Foyer, Laundry, Pantry, Separate Dining. Master bedroom features Downstairs, Garden Tub/Shower --- Lot size is 258 X 244 X 258 X 323 The Lot is Totally Fenced. Second Auto Gate is off Dorchester St. Grand House Has-- Screened Porch Dual Geothermal, High Effiency HVACs Encapsulated Crawl Space with DeHumidifier Complete Re-Wired and Re-Plumbed ** Neighborhood amenities include Trash Pickup * Summerville, SC MLS Number is 18019396. "... Built in 1832 with 4,200 sq.ft., 272 Cedar Hall Road is a Pre-Owned 4 bedroom 3 bath Single Family Detached Traditional 3 story home for sale on a 177 Acre 10+ Acres, Wooded Residential lot in the None area in Barnwell SC, 29812. 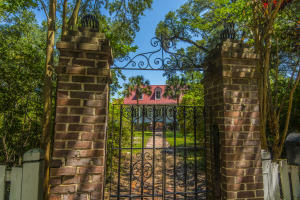 Incredible opportunity to own a truly authentic Southern Plantation. 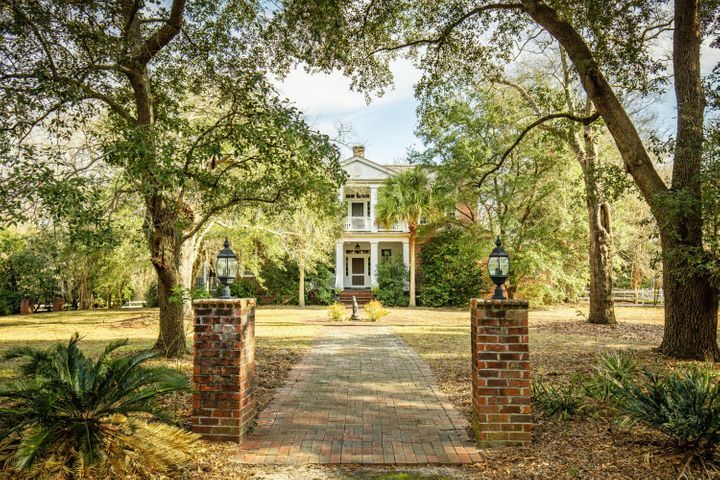 When Sherman's army marched through the south, they fortunately spare this historic plantation home as it was selected as Shermans personal residence during his stay in Allendale County. 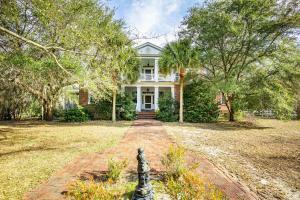 This magnificent Greek Revival home dates to 1832 and offers 4 BR and 3 BA, with historic mantels and moldings intact. A charming avenue lined with Cedar Trees draped in Spanish moss complements the main house's imposing porch and colonnade. Once inside original details and the striking bead board ceilings will delight any visitor. This home has a unique feature in the ground floor living level is original to the home and offers a central hall kitchen, formal dining room, and a cozy den/lounge. More... The floors include Ceramic Tile, Wood and roof is Metal ... Amenities include Porch - Front Porch, Storage/Outbuilding, Storm Doors, Storm Windows, fireplace: Three + * Parking includes Off-Street Parking and other features. ** This Barnwell home for sale offers Ceilings - 9'+ * * equipment and appliances - Dishwasher, Dryer Connection, Gas - Range, Refrigerator, Washer Connection. Rooms include Formal Living, Foyer, Laundry, Separate Dining, Study. Master bedroom features Upstairs --- The modern kitchen opens out onto an incredible set of gardens around the main house. The acreage which accompanies this property has been meticulously cared for for many years, and provides approximately 177 acres which includes 107 acres of prime timber land. 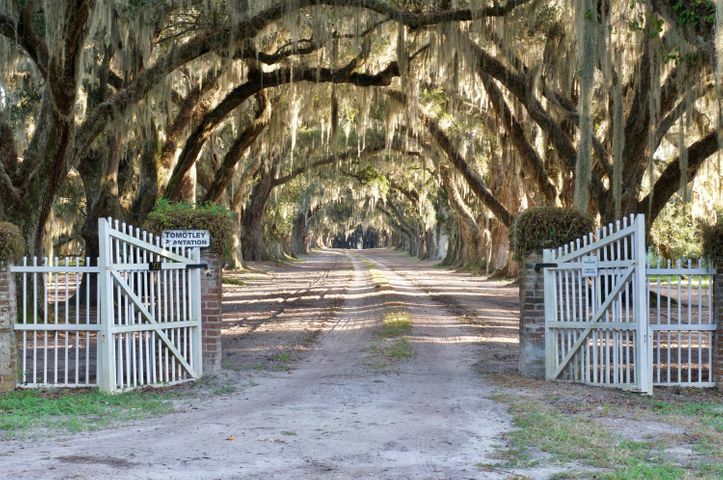 Live the true southern ideal at Cedar Hall Plantation, located just 2 hours from Charleston and Savannah. ** Neighborhood amenities include Horses OK * Barnwell, SC MLS Number is 18000010. "... Built in 1793 with 6,711 sq.ft., 6060 Brookland Drive is a Pre-Owned 9 bedroom 6.5 bath Single Family Detached Traditional 3 story home for sale on a 6.54 Acre 5 - 10 Acres, Corner, Lakeview, Pond Residential lot in the None area in Stateburg SC, 29150. This beautiful antebellum Greek Revival plantation house sits on over 6 acres of land in between Sumter (10 min) and Camden (15 min) in the town of Stateburg. 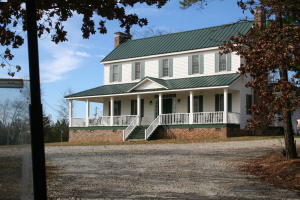 The home was built in 1793 and attributed to General Thomas Sumter, known as ''The Gamecock'' from his American Revolution exploits. Renovated by previous owners, this home impeccably combines history with modern day conveniences. With 12-14 foot ceilings, gorgeous heart pine floors and unbelievable woodwork, each room is magnificent. If walls could talk and share stories of the past... General Sumter deeded this plantation in 1803 to the Honorable William D. James, who wrote the book, The Life of Francis Marion. More... The floors include Ceramic Tile, Wood and roof is Architectural ... Amenities include Dock - Existing, Fence - Wooden Enclosed, Pool - In Ground, Porch - Front Porch, fireplace: Bedroom * Parking includes Other (Use Remarks) and other features. ** This Stateburg home for sale offers Ceiling - Smooth, Ceilings - 9'+, Kitchen Island * air conditioning Central * equipment and appliances - Ceiling Fan, Dishwasher, Dryer, Electric - Wall Oven, Garbage Disposal, Gas - Cooktop, Refrigerator, Security System, Washer. 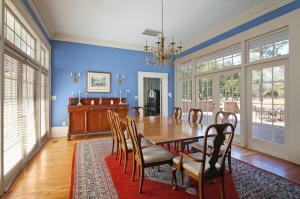 Rooms include Eat-In-Kitchen, Formal Living, Separate Dining, Study. --- Traditionally, each owner of this home has shared and passed down stories of its history- From the trap door next to the stairway that is said to have been an escape through a tunnel back to King's Highway, to the powder marks on the front door during the war. What a home full of stories and history! The property is comprised of three separate structures â“ First, a 5130 sq. ft, 5 BR/4.5 BA main house. In addition, the main house features a 243 sq. ft. screened porch and a 701 sq. ft. covered front veranda. 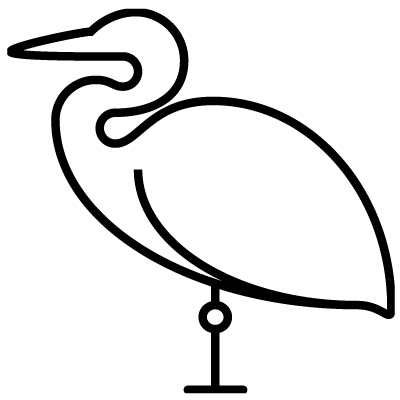 Second, a 972 sq. ft , 3 BR/1 BA guest/caretaker house. In addition, the guest house has an adjoining 702 sq. ft. garage and a 766 sq. ft. covered kennel. Third, a 609 sq. ft., 1 BR/1 BA studio/guest house currently utilized by the owner as an office surrounded by nature and complete privacy. The property also comes with adjacent deeded access to an idyllic stocked fishing pond including a pier for observing wildlife or fishing. ** Neighborhood amenities include Horses OK, Security Guard/Sys, Other (Use Remarks) * Stateburg, SC MLS Number is 16031758. "... 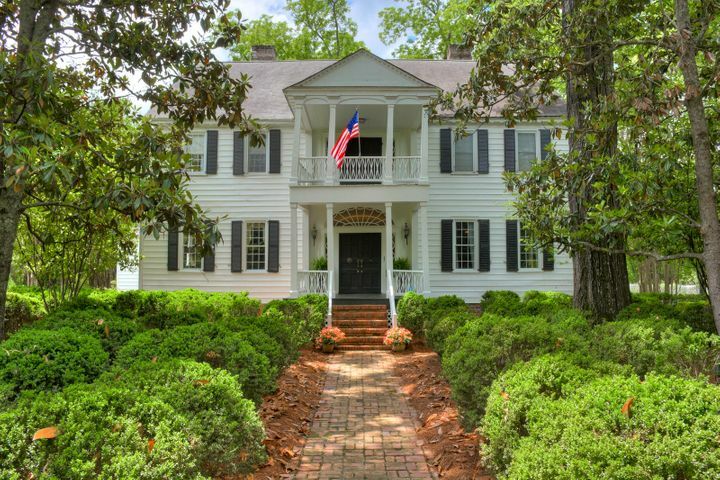 Built in 1790 with 4,000 sq.ft., 1365 Hwy 25 North is a Pre-Owned 5 bedroom 3.5 bath Single Family Detached Colonial 3 story home for sale on a 15.4 Acre 10+ Acres Residential lot in the None area in Edgefield SC, 29824. Cedar Grove is a historic plantation house located near Edgefield, Edgefield County, South Carolina. It was built 1790 and is a large two-story, Federal style house with a white clapboard exterior and high gable roof. 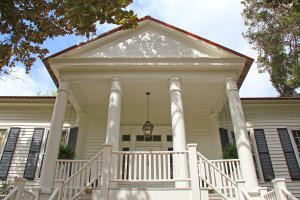 It features a double-tiered portico with delicate Adamesque detail. This home has many unusual architectural features including a barrel-vaulted hallway, elaborately carved mantelpieces, and the right front parlor retains an early hand-painted French wallpaper. 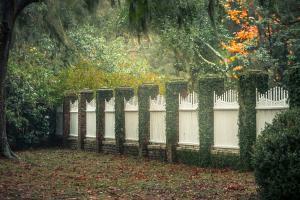 The property features a landscape of tall cedars, as well as old English boxwoods and traces of an original rose garden like at John Blocker's father's home, the Blocker House. The gardens at Cedar Grove were reputedly laid out by Andre Michaux, the renowned botanist who had designed the gardens at Middleton Place. More... The floors include Wood and roof is Asphalt Shingle ... Amenities include Pool - In Ground, Storage/Outbuilding, Workshop, fireplace: Three + * Parking includes Off-Street Parking and other features. ** This Edgefield home for sale offers Ceilings - 9'+, Kitchen Island * air conditioning Central * equipment and appliances - Dishwasher, Electric - Range, Refrigerator. Rooms include Eat-In-Kitchen, Family, Formal Living, Foyer, Office, Separate Dining. Master bedroom features Upstairs --- Lot size is 15.40 The famous English boxwoods of Cedar Grove were sold during the Great Depression to the Rockefeller family and placed in the gardens of the Governor's Palace in Williamsburg, Virginia. Also on the property are the contributing servant's quarters and original kitchen. Home has a 2 stall barn and pasture for horses! This Historic Proeprty has everything. 3 rd floor is a walk up attick that could be convertied. Home is on the SCDAH registry. This is a unque opprotunity to own a piece of history! Be sure to check out the Virtual Iguide tour. 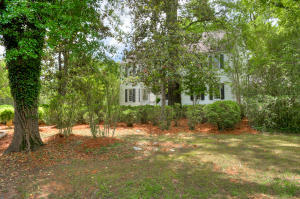 ** Neighborhood amenities include Horses OK * Edgefield, SC MLS Number is 18023078. Find It For You ? Information is deemed to be reliable, but is not guaranteed. © 2018 MLS and FBS. The information on this sheet has been made available by the MLS and may not be the listing of the provider. If square footage is important - MEASURE!! Properties marked with IDX logo are provided courtesy of Charleston Trident Multiple Listing Service, Inc. The data relating to real estate for sale on this web site comes in part from the Broker Reciprocity Program of the Charleston Trident Multiple Listing Service. Real estate listings held by brokerage firms other than the website owner are marked with the Broker Reciprocity logo or the Broker Reciprocity thumbnail logo and detailed information about them includes the name of the listing brokers. The broker providing this data believes it to be correct, but advises interested parties to confirm them before relying on them in a purchase decision. Information is provided exclusively for consumers' personal, non-commerical use and may not be used for any purpose other than to identify prospective properties consumers may be interested in purchasing.